Can You Use Essential Oils for Skin Conditions? Skin is the biggest organ of the body. It’s the barrier between our bodies and our environments, and it absorbs various outside influences, many of which would be harmful to us otherwise. It is also an indicator of many internal problems within the body, such as nutritional deficiencies, infections, allergies, and funguses. This means that, while being a wonderful organ of our body, our skin will often have small or big ailments that cause us misery and that might be hard to treat. The good news is that Essential Oils are great for lots of skin issues. Helichrysum Essential Oil is extracted by steam distillation from the blossoms of the plant. It has a range of uses in skin care, from treating acne, removing cuts and scars, and acting against wrinkles. In aromatherapy, Myrrh Essential Oil is used for a number of skin conditions, such as eczema, fungal infections, as well as chapped and cracked skin. It is also used for promoting menstruation and for easing painful periods. Carrot Essential Oil helps treat a variety of skin conditions, including psoriasis and eczema. It rejuvenates skin and gives it elasticity, while smoothing out wrinkles. This Oil is also a potent detoxifier. Rosehip Essential Oil is primarily used for skin care. It has a wonderful effect of rejuvenating dry, damaged skin, removing wrinkles, and healing scars. However, it is not recommended for use on acne, or on Oily skin. Virgin Coconut Oil is great for any skin care use that calls for moisturizing. It has a unique combination of fatty acids that are believed to have antifungal, antibacterial, and antiviral properties. In addition, many people find that Virgin Coconut Oil has a nourishing effect on their skin. Fractionated Coconut Oil retains the moisturizing properties of Virgin Coconut Oil, and makes for a great carrier Oil. However, many people feel that Virgin Coconut Oil has additional health benefits. Witch Hazel lotion acts as an astringent, meaning that it tends to shrink or constrict body tissues such as skin pores. In addition, Witch Hazel lotion tends to reduce skin irritation and removes excess Oil from the skin. When used as a carrier for Essential Oils, witch Hazel Lotion is particularly useful in fighting acne. Aloe Vera gel is not an Oil, but it can make a wonderful carrier for Essential Oils. It is well known to help soothe, moisturize, and heal skin. In addition, Aloe Vera gel is a great first-aid in case of burns. The L’orpur Problem Skin Relief Natural Cream is designed to treat and prevent recurrence of difficult skin conditions including psoriasis, eczema, rosacea, acne, dermatitis, etc. It has unmatched anti-bacterial and healing properties and provides instant and long-lasting relief for red, itchy, scaly rashes as well as dry, flaky, peeling, red and irritated skin. 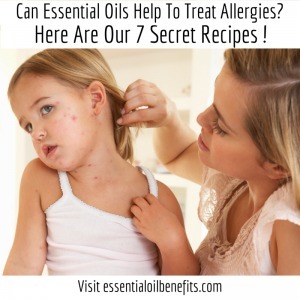 What Are The Best Essential Oils Recipes for Skin Disorders? Rosacea can affect both the young and the old. While there are number of lotions and creams available in the market that can help for a while, but many will not give you a permanent cure. Uncontaminated, healing grade Essential Oils when used directly on the epidermis or combined with jojoba or sweet almond carrier Oils can render amazing relief in Rosacea. The best Essential Oils you can use for the treatment of rosacea include Eucalyptus, Lavender, Sandalwood, Cedar, Chamomile and Frankincense and Tea Tree Essential Oil. The antifungal and wound healing properties of Essential Oils make them an important part of any standard ringworm treatment regimen. 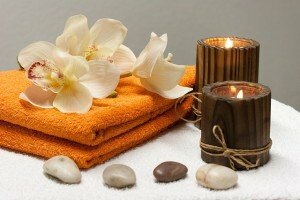 Most of the promising remedies involve the use of Oils such as Tea Tree and Neem Essential Oil. These Oils are known to be effective at treating problems like athlete’s foot (ringworm of the feet) if used religiously for a period of one month. 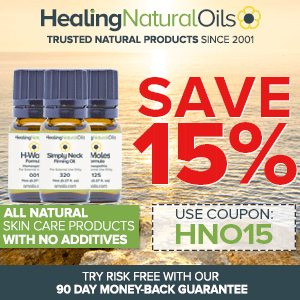 I have more details for you here, simply go to the best Essential Oils for ringworm relief. When it comes to the treatment of skin cancer, Essential Oils have been shown to be tremendously useful. The anxiety and sleepiness associated with skin cancer can easily be reduced by the use of Essential Oils. The best Oil to use for skin cancer is Frankincense, which must be topically applied over the lesions for a period of four months. Use of Essential Oils for the treatment of skin cancer can also save you from the long lasting side effects of invasive treatment procedures. Acne is the most common skin condition that people suffer from. It is caused by Oil buildups in pores around hair follicles, and infections that occur as bacteria feed on this Oil. If you want more information the best Essential Oils recipes for the treatment of acne breakouts including the top 25 recipes for acne treatment, I have you covered. How To Use These Essential Oils To Treat Acne Breakouts? First of all, if you are using a blend, mix equal parts of all the Oils, 1-2 drops, depending on how much you need. Then mix the Oil or the blend with a carrier Oil. I recommend you use fractionated Coconut Oil, though some people have also used the whole, Virgin Coconut Oil with good effect. Use a 2% dilution, meaning 2 drops of the Oil or blend in a teaspoon of the carrier Oil. Apply this to your skin after you’ve washed it in the morning and in the evening. You can keep applying these Essential Oils until the acne is gone. Simply let the blend absorb into your skin, as there’s no need to do anything else or to wash the blend off. There are multiple Essential Oils that can balance Oily skin. I’ve got two recommendations below: a simple blend of two Essential Oils, as well as a more complex facial toner that you can use to replace store-bought cosmetics. Both Rosemary and Tea Tree are well-known to reduce excess oiliness of the skin. For this recipe, use 1 part Rosemary Essential Oil to 3 parts Tea Tree Essential Oil. Combine this with the fractionated Coconut Oil in a 2% dilution. This is a fancier recipe that emulates store-bought lotions for Oily skin, giving you a pleasant-smelling blend with balancing and naturally astringent properties. Combine 12 drops Lemongrass Oil, 6 drops Juniper Berry Oil, 2 drops Ylang Ylang Oil, 1 ounce of witch hazel lotion, and 1 ounce of Aloe Vera gel. Again, since you will be making a larger quantity, make sure you store this lotion in a glass jar, rather than in plastic. You can use this mix regularly as part of your daily skin care protocol. If you find that you have sensitive, dry skin that tends to get irritated easily, then this recipe is for you. Make a lotion using a 2% dilution of the Myrrh Essential Oil in the Virgin Coconut Oil. For example, mix 12 drops of Myrrh Essential Oil in an ounce of melted Virgin Coconut Oil. Use this lotion liberally as you need it. The combination of Myrrh and the Coconut Oil should moisturize and nourish your skin better than most commercial products that you’ve tried using. How to Use Essential Oils to Recover From Sunburns? It seems inevitable that I get sunburned once or twice a year. I always underestimate the brightness of the sun or how long I will be out there, and I then wake up the next morning with a burning face and sore skin on my shoulders. Well, I’m happy to tell you that a very simple, Essential Oil preparation can work miracles with sunburns. Combine 20 drops of Lavender Oil with 4 ounces of Aloe Vera gel. Dab this on to the sunburned skin as often as you need until your sunburn heals. You can also use Aloe Vera juice, which is more liquid than the gel, and in that case, you can put the whole mixture in a spray bottle and spray it on. If you don’t have Aloe Vera juice, you can mix the Lavender and Aloe Vera gel with some water until it becomes liquid enough to be sprayable. How to Use Essential Oils to Remove Stretch Marks? As with other kinds of scarring and discoloration of the skin, several Essential Oils can help with stretch marks. Combine 4 drops of each Essential Oil with an ounce of Virgin Coconut Oil. Apply this blend to the stretch marks daily. You might have to apply this blend for a while before you see improvements, but the nourishing and anti-inflammatory nature of the blend should ultimately give you good results. How to Use Essential Oils to Clear Up Sunspots? Sunspots, also known as liver spots or aging spots, occur past a certain age when the body is no longer as good at recovering from the damage that UV radiation causes. Combine equal parts of each Essential Oil in a 2% dilution of the Virgin Coconut Oil. If you will be making a larger quantity that you can reuse later, combine 8 drops of each Oil and 2 ounces of the Coconut Oil, and store this in a glass jar. Apply this mixture to the area with sunspots daily. This blend should promote healing and rejuvenation of the affected skin, and eliminate the darker pigmentation. How to Use Essential Oils to Relieve Itchy Skin? Many different things can cause itchiness, for example, dry or irritated skin, allergies, or fungal infections. While you should ultimately seek to fix whatever is causing the itchy skin, it might be some time before you can identify what the problem is, and in that case, treating the symptoms can be a lifesaver. Take an ounce of Almond Oil and add 3 drops of Peppermint and Lavender Essential Oil each. Gently spread this mixture over the effected region. This will relieve the itching and prevent the further breakouts. How to Use Essential Oils to Eliminate Bags Under The Eyes? Bags under the eyes can be caused by different factors: fatigue, water retention, even a lack of exercise. It’s best to address those underlying causes directly, but at the same time, Essential Oils can help reduce this swelling as well. Cypress Essential Oil is a powerful astringent and diuretic that should help combat the swelling. Combine 2 drops of cypress Essential Oil in a teaspoon of melted Virgin Coconut Oil. Apply this to the skin under your eyes at night before going to bed. Make sure not to get the mixture in your eye, as this can be extremely irritating and painful. 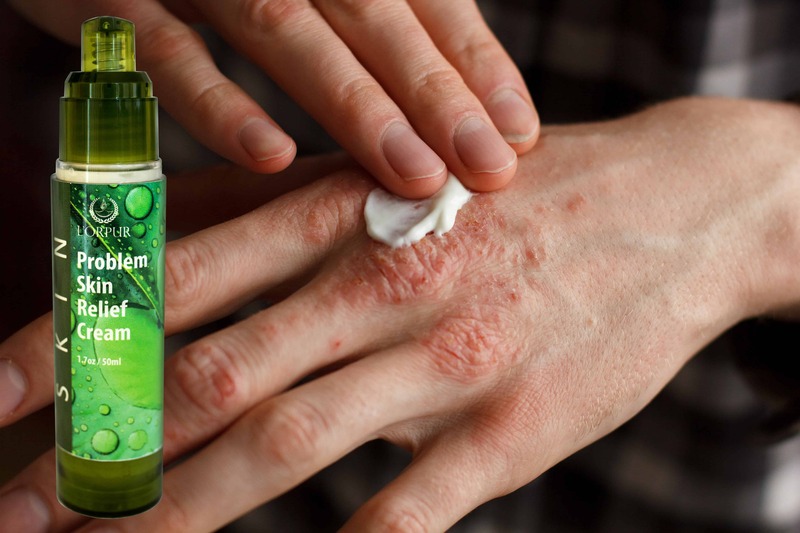 How to Use Essential Oils to Treat Eczema and Psoriasis? Eczema is a name applied to an inflammation or a rash on the skin, which is characterised by red, itchy patches. There are a couple of recommended Essential Oil protocols to relieve these kinds of symptoms, and they can be applied both in cases of Eczema and Psoriasis. Combine 3 drops Oregano and 9 drops Tea Tree Oil in an ounce of fractionated carrier Oil. Put this in a spray bottle and spray the area where your skin displays the rash several times each day until the symptoms subside. Combine 1 drop of each Essential Oil in two teaspoons of melted Virgin Coconut Oil. Apply the blend over the affected area several times each day, until the rash goes away. Various fungal infections can cause red, flaky, itchy skin. Fortunately, Essential Oils are extremely good at taking care of fungal infections, and this has even been proven in several scientific studies. Add 1 drop of each of the three Essential Oils to 2 teaspoons of fractionated Coconut Oil. Apply this blend to the affected area twice a day for as long as the rash or inflammation persists. Using Essential Oils is an all-natural approach that is far less invasive than using products carrying artificial ingredients and chemicals. Some of the Essential Oils might worsen the condition, especially if you have a sensitive skin. So, make sure that you conduct a patch test on your arm before using the Essential Oil liberally on your body. While using Essential Oils can be highly effective in treating skin conditions, it might take some patience and experimentation to find out what works for you. I have tried my best to give you an overview of the approaches that have worked for me and other people as well, but it is necessary for you to have a clear starting point in case you have never used Essential Oils or don’t have a wide range of different Essential Oils at home. When it comes to treating skin conditions, a little bit of common sense goes a long way. What Are The Best Essential Oils And Recipes For Hyperpigmentation: A Ray Of Light From Mother Nature To Lighten Your Skin! Do you have any recipe for getting rid of deep black head? My 13 years old teenager has some deep black head on the cheeks that will not go away. And she also has many white bumps on the forehead and some acne. You can refer to the post below and in the near future, I’ll have additional info. about blackheads and whiteheads. I’m quite sure my wife will love the part where you mentioned about rosehip oil being used for dry, damaged skin, and wrinkles. My wife likes to jog around every morning, and it takes a toll on her face making it dry and wrinkly when she gets home. I think this rosehip oil will make a great upcoming anniversary gift when I surprise her next week. Thanks! Are there any essential oils for lichen sclerosis? You can use 3 drops each of lavender and frankincense and 8 drops of lemongrass diluted in 30ml castor oil. Apply to the affected areas. 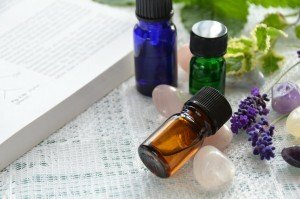 You had given some very helpful information to use essential oils for treatment of various conditions. Thank you so much! Are there any ssential oils for treatment of diabetes, facial wrinkles and last I have a very hard callus on the bottom of my foot that is causing a small sore to reopen. The foot doctor trims the callus down and that reopens the sore. Very frustrating. Thank you so much. Your website is so helpful. I am very impressed by your website and the articles. I have Chloasma/ Melasma on my face (both cheeks) for years and I have used several produces but never worked. Would you please advice me some kind of essential oil therapy ? Thank you very much! The following essential oils work generally well for chloasma/melisma: frankincense, geranium, lavender, patchouli, lemon, carrot seed, rose, tea tree, eucalyptus, mandarin. You could use any 3 of the above essential oils (total of 15 drops) in 30ml castor oil and apply twice daily using a cotton ball. You can also make up a mask by adding 5 drops of essential oil to 1 pinch of turmeric and yogurt. Leave on for 15 mins, then rinse off with lukewarm water. Do not use the citrus essential oils in your recipe if you’ll be exposed to the sun during the day. My best friends husband has been diagnosed with PRP, he’s miserable. The 2 creams they prescribed made it worse. I would think neem oil, tea tree, myrrh with a carrier oil like coconut would help? Your opinion? Unfortunately, I don’t have much experience with PRP, are you referring to Platelet Rich Plasma? pls can I combine carrot seed oil and frankincense oil and Rosemary oil together as daily login? Hi , thank you so much for all of the wonderful information!!!! You say to put frankincense 3 drops under your tongue for skin cancer and rub topicly 3 times a day for 3 days , then every 72 hours , should you do the drops under the tongue the same way ? Yes correct. Please check with your doctor before ingesting any essential oils due to underlying health conditions and once your doctor has confirmed, please make sure you buy therapeutic edible grade essential oils. Every morning, I have a cup of warm water with a few drops of my own certified organic lemon essential oil. what does the water with lemon essential oil do for you? It helps in many ways, including helps with digestion, gives the immune system a boost, increases metabolism, assist by maintaining healthy weight, flush the system and also benefits the skin. What EO’s can you recommend for toenail fungus? I’m using Tee Tree and would like to know if a combination of other oils will give me better results? and as a result my skin no longer retains any moisture. I’ve tried applying moisture products with Vaseline, coco butter with Vaseline and even shea butter with Vaseline and still nothing. My skin is dry and ashy looking after about 15-20 mins of my applying these products and I don’t know what to do. I would love to be able to ” show some skin” this summer but this will not be done if I can’t remedy my problem of dry ashy skin. Any suggestions on what oils can help combat my issues? I never had a problem with my skin prior to my hysterectomy. Now it just looks old and crepey like and it rather embarrassing. Sure, I think, in your case, it will be a matter of trial and error with various oils. Perhaps start off with some carrier oils as per the “carrier oils benefits” PDF that I sent out recently. If that does not achieve the desired outcome, you will need to try some of the body butter recipes, alternately, let me know and I will come up with an essential oil/carrier oil recipe for you. hi, im wondering whether an oil dropper bottle would be more appropriate to keep the oil blend for treating eczema under option 1 coz i have never tried spraying out oil form a spray bottle. can the oil be sprayed out like a fine mist? thought the oil blend is of a thicker texture and would not spray out well. It does not really matter; you could use either a dropper or a spray bottle. You should have no issues and yes, the oil blend will spray out like a mist. Just make sure you buy a glass bottle spray bottle especially for essential oils and make sure you purchase/use fractioned coconut oil as it will not solidify, unlike other coconut oils. Hi Olivia. I am a huge fan of EOs. I regularly follow your updates and have included many of your blends in my skin care routine which have helped me tremendously. I want to suggest any blend which could help increase the skin thickness. Thank you.hope you are having a great day. I am Kirti from New Delhi India. Its hot and humid here most of the times and my facial skin suffers a lot because of this. I am unable to understand why my skin is behaving strange. My face breaks into a sweat whenever i apply anything on it. I have tiny milia under my eyes and around the bridge of my nose. Can you help me with this please?? My face has tanned a lot too and i have sunspots and freckles and hyper pigmented skin. Can you suggest me carrier oils and essential oils for my skin woes. I have already provided a response how to get rid of milia using essential oils in my previous message. For sunspots (which is the same as agespots), please refer to the article below which provides all the information about essential oils, recipes, etc. If you need any further help, please do not hesitate. Tanx so much for your help, I bought jojoba, castor, and lemon oils, mixed them together for stretch mark, but I noticed something strange they mixture doesn’t mix together in the bottle, just like oil and water, and I really want to know if I should get rid of it. I would get rid of the blend you made – perhaps the lemon oil is the culprit. 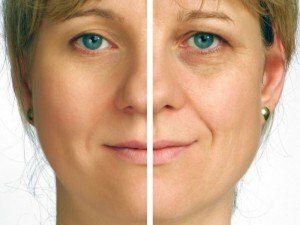 What would be the best oils to blend together for anti-aging, fine lines, and firming the skin? If you are after an easy-to-use blend, H-Wrinkles and Simply Neck Firming are highly recommended for anti-ageing / reduction of fine lines and to improve skin elasticity respectively. If you are after a full skincare treatment including day time and night time treatment and depending on your skin type (oily or dry), you can get a copy of either of my skincare ebooks. Which essential oils would be best for Lichen Sclerosis treatment? The area is extremely itchy and sore. Not looking for a “cure”, as this is an auto immune disease. The doctors basically have nothing that helps. Add the above-mentioned essential oils to 30ml (1 fl. oz.) bottle and fill the bottle with sweet almond oil. Apply 2 to 3 times a day to the affected areas. You could also mix apple cider vinegar / water and drink once a day. Thanks Olivia, I’ll give it a try. My son has a job where he has to change Latex Gloves every 15-20 minutes. His skin is sometimes peeling, cracking, weeping, crusting but one thing always there and that is burning all day every day. His doctor has tried everything and keeps prescribing all kinds of creams and pills which have made his conditions even worse. Now his general health is suffering. He is quite depress. It has come to a stage that he is working only two days a week yet the other 5 day non-contact with Latex is not relieving the skin. This is not an ordinary situation and I think I should not buy any oil and tell him to use. I need an expert opinion. I shall wait for your reply. I am sorry to hear about your son’s working conditions. The advice below is general advice and nothing specific to your son’s condition as you will need to consult your doctor for further treatment. Also, given your son’s hand condition (peeling, etc. ), please do a skin test patch beforehand to avoid further skin complications. In general, for cracked and chapped skin, the best essential oil to use is Myrrh. 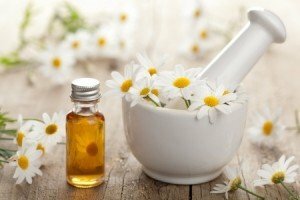 If you want to try an essential oil recipe, you can blend 3 drops German Chamomile and 3 drops Myrrh to 2 tsp sweet almond oil and apply 3 times a day to the affected areas. I have facial perimenopausal melasma. Can you recommend essential oils for fading the dark patches? One of the best essential oils for fading dark patches is Lemon essential oil with its anti-bacterial, antiseptic and astringent qualities. It will help lighten the skin’s complexion and exfoliate the skin as well as give you a soothing and even skin tone. However, do not apply lemon essential oil during day time and/or avoid the sun/UV rays completely if you do apply it. Always apply it diluted in a carrier oil such as Jojoba oil. Always do a skin test patch before any application. I got one red spot on the front my leg close to my ankle . Another on my other leg same spot one in the front three on the back was working in the garden are they bites or allergies. Under the red spot it feels like hard systs . I went to the doctor they say allergic to something. I put cortisone cream. Didn’t, help much I,vie been using castor oil on it it,s helping but it still there do you think of a better oil for it. I am unable to confirm if they are bites or allergies. 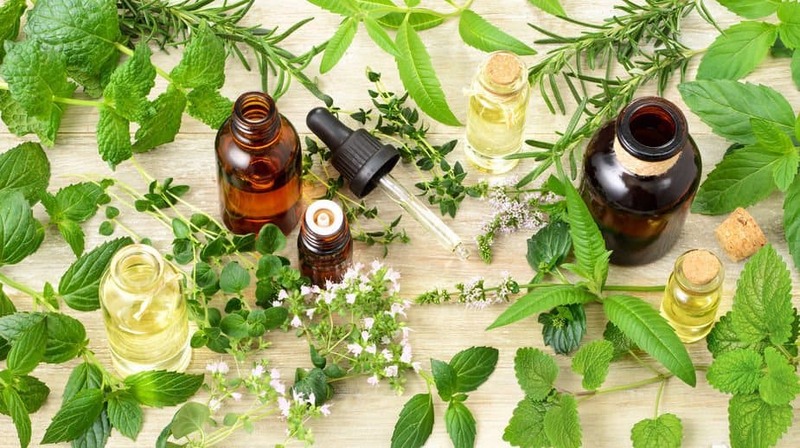 In case it is an insect bite (non-poisonous), you could use tea tree, chamomile, eucalyptus or lavender essential oils diluted in 1 tbsp of carrier oil such as jojoba or almond oil. Apply on the affected area up to 3 times a day. You could also add 1 tbsp of apple cider vinegar and peppermint essential oil to the mixture. Looking to stop the beginning stages of an 1/8″ red spot of my infant’s hemangioma. I know there is no cure but what would you recommend trying so it potentially doesn’t get worse? Appeared 2 weeks ago. You can use Frankincense or Oregano essential oil on the hemangioma. Be mindful that Oregano oil is a hot oil, so my preference would be Frankincense oil. Also be extremely careful and dilute the essential oil (1 drop) into 1 tsp of coconut oil or sweet almond oil, do a skin test patch before application and ensure no oils get into the mucous membranes (eyes, etc.). Apply to the affected area twice a day for a week or so. It should start to reduce in size. Can you recommend any oils to get rid of seborrheic keratosis? I’m wondering if the frankincense and myrrh blend would help. You could try to add a drop of Frankincense or Helichrysum essential oil on the seborrheic keratosis locations in the morning and evening and put a band aid over it. Depending on its size, you may need to repeat this for several days until it reduces in size and eventually disappears. Please do a skin test patch before any essential oil application. HI can you please advise me what oils to use for limited scleroderma. You may wish to try Lavender or Patchouli essential oils for scleroderma. Hi there!!! I have Squamous Cell Carcinoma & of Hungarian heritage so I can tan easily. Because of my SEC, I have breakouts (almost ezcema) & due to my melanin darkening each time, I’ve not been able to find anything to not only stop the eruptions but also to diminish these spots. I can’t wear tank tops because they’re on my arms/shoulder areas & more darkened spots elsewhere. I’ve tried Lavender & thinking about Frankincense & Myrrh route. Any suggestions? Both Francincense & Myrrh are excellent essential oils for Squamous Cell Carcinoma (SCC). Simply add 2-3 drops of Frankincense, Myrrh and Grapeseed oil in 1 ounce of coconut oil and apply this blend 2-3 times on the affected areas. I recently purchased some sage oil, 100% pure, and i would like to know how to properly use this to reduce or even eradicate a lypoma that i have, after some research i found that this particular oil has been regarded as an effective treatment. Well done, you have done some good research. The other beneficial essential oils for lipoma are Frankincense, Clove and Ginger. 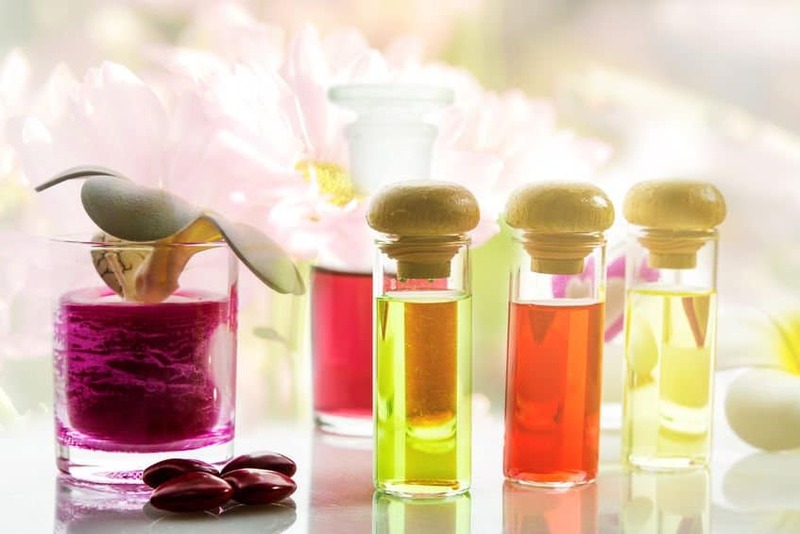 The important thing to remember about essential oils is that they have to be diluted before being applied to the skin area above and around the lipoma. You can use carrier oils such as olive, almond or coconut oil for dilution. Use a 2% dilution, i.e. around 12 drops of essential oils in 30ml carrier oil. Apply 2-3 drops on your affected skin area. What do you suggest for Lupus of the skin? Can you please clarify the exact symptoms of lupus you are having, i.e. is it inflammation and pain in the joints and muscles or is it a rash? Once you get back to me, I will be able to advise you accordingly. In the meantime, you can consume fish oil capsules. Please also keep away from salty / sugary foods as well as fatty foods and alcohol. Can I mix Argan oil and oregano oil and put it on my dry scalp? 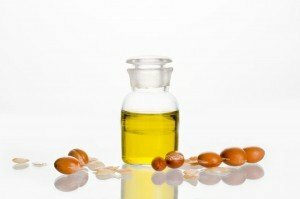 If you have no other skin problems, it is best to combine Argan oil with almond oil or coconut oil for a dry scalp. I read somewhere that you can combine coconut oil and tea tree oil for itchy rashes, but it didn’t say how much of each to use. Any suggestions? You can use 3 drops of tea tree oil in 1 tsp of coconut oil. If you want to prepare larger quantities, add 12 drops of tea tree oil in 1 ounce (30 ml) bottle. Apply 2-3 times a day on the affected area. Can Essential Oils be use to help and/or be a cure for Lichen Planus of the skin? I don’t believe there is any essential oils to treat Lichen Planus. I understand that this is treatable by a doctor. There are topical creams and pills that can be taken, however consult your doctor prior. You can also consult a dermatologist who can advise you further. Sorry, I am unable to help you more. Take care. Can I replace the coconut oil with Almond Oil or Argan oil? I have both of those at home. I’m looking at the anti-fungal recipe. Sure you can replace the coconut oil with either Almond or Argan oil. All the best. Hi there! My 16 year old daughter has acne, the majority on her back (some scarring) and forehead. On her back there are SOME that look brownish/red (I assume it is irritated) and painful to the touch. I was thinking CO mixed with Frankincense and Tea Tree Oil. Is there anything else? And how much of each? Someone said to apply honey mixed with Frankincense (or TTO, maybe) let lit for a minute or 2 and rinse. Not sure about the messy honey. Thanks. So happy I happened across your site. You can use your recipes including the one with honey. Honey is antibacterial so its good for acne treatment. It is also moisturizing and soothing for the skin. I have not tried this recipe before, so it will be hard for me to specify the ratio. You can also read my full article about essential oils and recipes for acne treatment here. You can pick any recipes based on the essential oils / ingredients that you already have at home to start off. Is it ok to use fractionated coconut oil when you list virgin coconut oil? In the skin treatments and eye bag treatment? Yes, absolutely you can use fractioned coconut oil. Hi. I have been getting acne on my jaw areas and chin, mouth area as well. I have been using your option 2 toner for my face for a week now. Can I still use the acne treatment blend this toner? I use sweet almond oil as a moisturizer after I use the toner. About 29 mins after oils soak in skin. I font want to Use too much. Indeed you can use the option 2 toner with your acne treatment. Sweet Almond oil is perfectly fine to be used as a moisturizer; just apply a few drops. Let me know if you need additional advice. Please note that I am not giving specific advice for your particular situation, but in general whiteheads can be treated quite effectively at home. Wash your face with a mild soap or simply water. Then, after it is completely dry, you can use a product which contains benzoyl peroxide and salicylic acid, however these are chemicals which may further irritate your skin condition. The best thing is to use a natural product such as Tea Tree Oil. Use a cotton ball and apply the tea tree oil generously to the affected areas twice a day. If you notice any reaction, discontinue use. Getting rid of white spots will take time, generally 4-8 weeks or even longer in some cases, so be patient. For acne, there are several treatment options which you can follow including all the essential oils and recipes listed in the above post. If you don’t have time to make up your own recipe, you could always try H-Acne Formula. Also make sure you have plenty of sleep, drink lots of water, have a healthy diet and exercise regularly.